Joshua A. Wright graduated from Southern Illinois University Carbondale, with a degree in Architecture in 2003. After working 9 years for a local Architecture Firm, in 2013 he started his own firm in Clarksville, Tennessee, specializing in commercial and residential architecture. With fifteen years of professional experience in the discipline of architecture and eight years of hands-on construction experience working as a carpenter, Wright brings a great variety of expertise to the table. He has worked on various commercial projects ranging from speculative office buildings, religious facilities, multi-family housing projects, and institutional-type projects. He also has extensive experience in custom residential design. Our practice is centered around our clients and a sincere reverence for the natural environment. We have been blessed with great clients and we are grateful for the continued trust that they place in us. 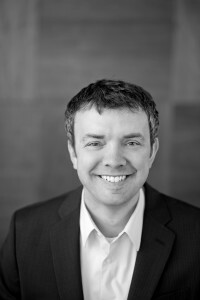 Joshua A. Wright is a Registered Architect, a member of the American Institute of Architects and the National Council of Architectural Registration Boards.